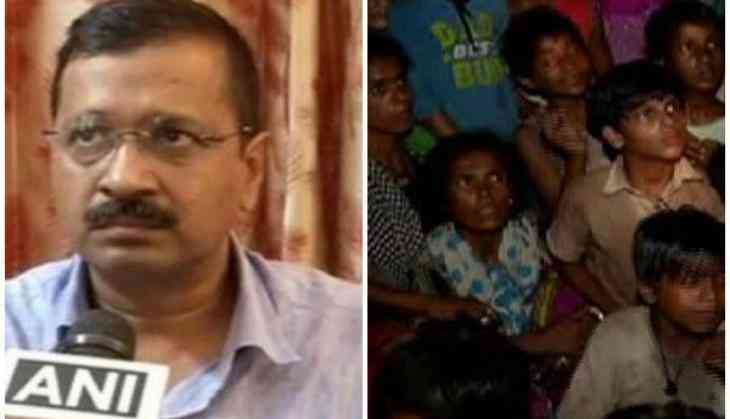 Following the demolition of the homeless shelter by the Delhi Development Authority (DDA) and Delhi Police in Nizamuddin yesterday, Chief Minister Arvind Kejriwal on Friday expressed his concern over the disturbing development and assured that the children are being shifted to another home. Earlier on Thursday, a children home shelter ' SPYM-Wishes and Blessing Home', where over 50-60 small children used to live was demolished allegedly. Reportedly, the home shelter SPYM is a Delhi Government aided Non-Governmental Organisation (NGO) and they were provided by the land by the government. 'SPYM-All wishes and Blessing home is my home. 50-60 children used to live in this home and we adopted this place in 2014 from the Delhi Government's Raen Basera policy and transformed it into SPYM-Wishes and Blessings Home. There are 60 children and 15 females here, who were all abandoned at one time. Out of these 60 children, 45 go to schools. Today, DDA people arrived and demolished our home,' the SPYM owner told ANI.